One-twelfth of 2015 is almost over, and it’s quite a year already. I’m currently in the throes of a Hitchcock-themed horror story that may be the coolest thing I’ve ever written–or might become the most beautiful hot mess this little writer has committed to the ether. Only time–and rewrites–will tell. But in the meantime, I am excited to announce my latest publications. Add in the stories I included in my last post, and this has been a major month for me, the best of my fiction writing career so far. If you ever thought, “Wow! I really wish someone would do a modern-day update of Hemingway’s “Hills Like White Elephants,” only with monsters!”, then I can pretty much promise you will love my story, “Snowfall in the Morning”. It is part of the latest “flock” at Thirteen Myna Birds, which is available for a limited time only, so read, read, read! If a surreal tale of lost-and-found love will assuage your Valentine’s Day longings, then head on over to The Teacup Trail for “Blue Dreams in Motel Rooms”! If you have just a little time to spare, then spend it with “The Shape of a Heart” and “The Butcher Is In” at Microhorror, the purveyors of super pithy dark fiction! If you have no time to spare but still want a quick, offbeat read, then head over to Brouhaha Magazine for my 200-word flash piece, “Acid Baby”! 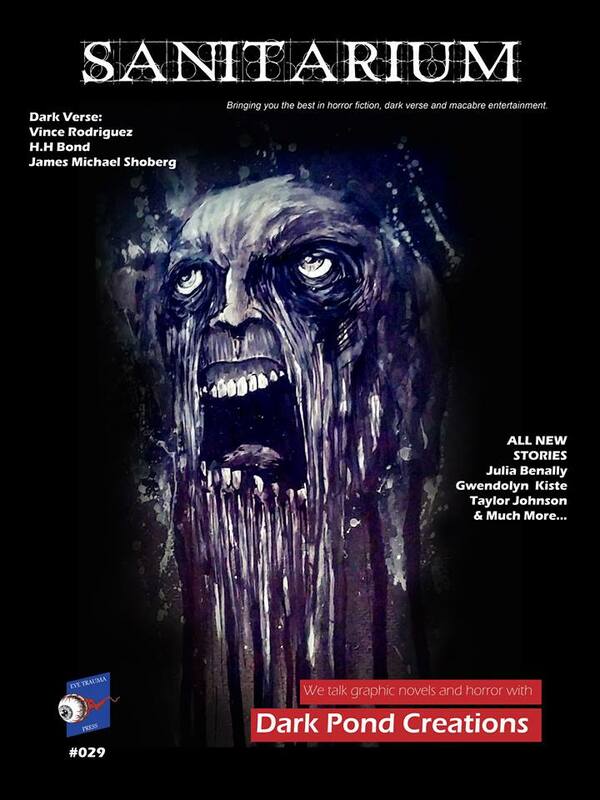 Finally, if you’d like a cool ghost story (that is also my first-ever reprint), be sure to check out the ceremonious return of “Audrey at Night” in Issue #29 of Sanitarium Magazine! But that’s not all in the fiction department. Several more publications are slated for the coming months, so watch for my stories at After the Pause, 99 Pine Street, the Breakroom Stories, and Saturday Night Reader. As February descends upon us, I have some new things in the works, including an update to this site as well as a brand new feature in which I’ll be spotlighting my fellow writers and their latest endeavors. That means if you’re an author and you want some easy, free promotion, send me a message or comment on this post. 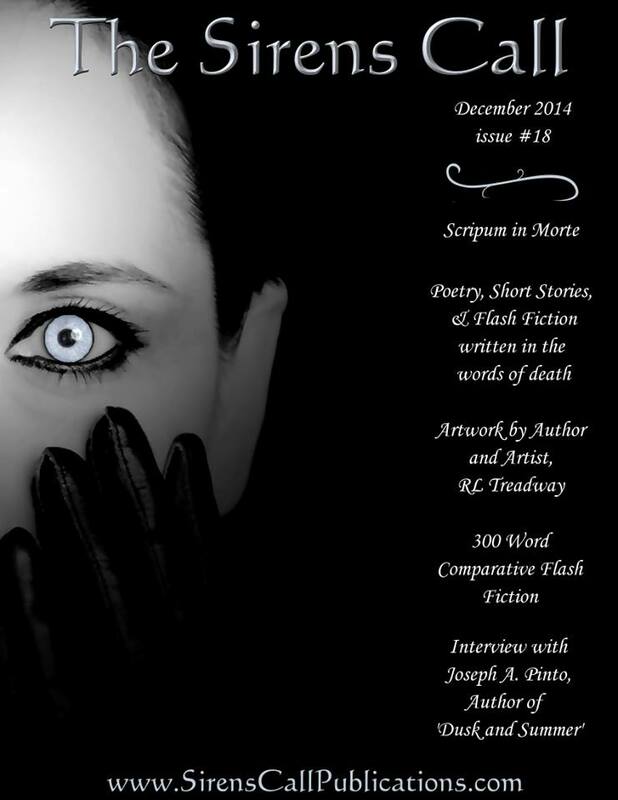 This entry was posted in Fiction and tagged Brouhaha Magazine, Microhorror, Sanitarium Magazine, The Teacup Trail, Thirteen Myna Birds, Typehouse Literary Magazine on January 30, 2015 by gwendolynkiste. Happy New Year & Happy Short Stories! I am thrilled to announce the release of my latest horror stories! If musical chairs with a casket is your idea of a fun diversion, head on over to Danse Macabre and read “The Same Game”. If a weird tale of a dinner party gone awry is more your speed, then settle down at the table of Sirens Call’s latest issue and enjoy my yarn of domestic terror, “Pink Moon”! And if you’re in the mood for a good old-fashioned ghost story (with a modern twist, of course), check out “Audrey at Night” on Dark Fire Fiction. This has been an exciting few weeks, not only because new work is making its rounds, but because I sincerely admire these publications. Dark Fire Fiction does a great job of discovering the best in offbeat horror, and I love the little icons on the main page that represent each story: super simple yet effective. I will admit to speculating on what would be selected for my piece, and upon its release, I wasn’t disappointed! Sirens Call Publications is a major player in promoting female power in horror. 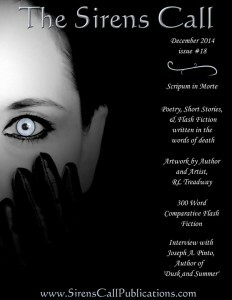 Each February, the magazine does a tie-in with Women in Horror Month, and throughout the year, Gloria Bobrowicz, Nina D’Arcangela, and Julianne Snow work tirelessly to promote new talent. Last but in no way least, I remember first hearing of Danse Macabre years ago, back when I was still focused on horror filmmaking and screenwriting rather than horror literature (long ago days indeed). To be a part of the publication all these years later is a humbling yet exhilarating experience. It was also serendipitous that the theme for this month was “Fete Champetre” meaning my story of revelry gone awry, “The Same Game,” fit perfectly with the issue. Oh frabjous day! I am in awe of the small presses out there that do such amazing work on behalf of independent writers. There might be a lot of rejection and disappointments in this business, but places like Sirens Call, Danse Macabre, and Dark Fire Fiction (along with other favorites like Mystery and Horror, LLC and North 2 South Press) make life a little bit easier for us authors. Before I put my fangirl away for the night, I also want to announce that more of my stories will be making appearances later this winter. Be sure to watch Typehouse Literary Magazine, After the Pause, 99 Pine Street, The Breakroom Stories, The Teacup Trail, Sanitarium Magazine, and Saturday Night Reader. More announcements soon to follow. This entry was posted in Fiction on January 15, 2015 by gwendolynkiste.